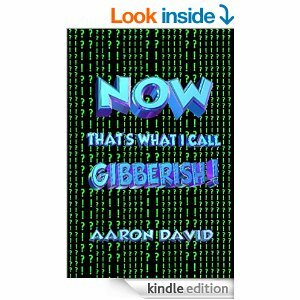 Today I’m pleased to present one of my favourite writers from the UK and his newest book: “Now That’s What I call Gibberish!”. For those of you outside the UK, the title and its design are an allusion to a popular music compilation CD series “Now That’s What I call Music”. 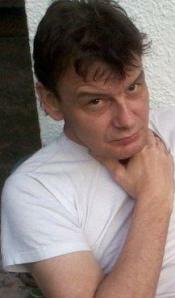 The book is a selection of four short stories. If you know the author’s other work you’ll know to expect a great blend of thoughtful moments between a whole lot of hilarious humour. Writing in all genres David starts this book with a sci-fi story about a space ship on its journey to another solar system. With great parodic details and a multitude of ideas each story is spiked with humour, while the whole says a lot about us humans, our quirks and our faults. Time Travel and electronic entities give this story a dominantly fantasy / science flavour, written in an entertaining and engaging voice that keeps your attention through all the odd scenarios that David has come up with. Witty, dry and clever this is not just mindless entertainment and comes highly recommended. One author that truly deserves your attention.